Rouge Duty Free solidifies business in St. Thomas and Grenada, as it prepares to debut in the U.S.
Rouge Duty Free Retail Caribe continues to make impressive strides in developing its chain of duty free stores in the Caribbean, where it now operates major venues in Grenada and St. Thomas and is additionally debuting in the U.S. local market with a travel-friendly store in the Prime Outlets Mall in Orlando, Florida. The Group continues to enhance its stores and add new brands to the portfolio as it solidifies its business in the islands. The 1,200 sq ft Rouge perfume and beauty store in Charlotte Amalie, USVI. “We are now operating the only fragrance store on the waterfront road in Charlotte Amalie, St. Thomas where we are benefiting from good visibility to all traffic,” reports Marco Bordoni, who heads up the Caribbean and North American business for his family’s Buenos Aires-based Perfumerias Rouge. Bordoni adds that the 1,200 sq. ft. store, which is dressed on the outside with large visuals of Chanel and Dior, is hard to miss when you are in St. Thomas. The Rouge store in St. Thomas, which opened in greatly enlarged space right before the Christmas holidays last year, now carries all the major fragrance brands, and a wide assortment of skin care and makeup, including Estée Lauder, Clinique, Smash Box, Glam Glow, Lancôme, Shiseido, Clarins and NYX, reports Raymond Kattoura, whose company Duty Free & Travel Retail Group Inc. helps manage the business for Rouge Duty Free Retail Caribe. Rouge St. Thomas will also begin carrying the full Rituals line of lifestyle bath and body products exclusively on the island as of September 2018, says Kattoura. 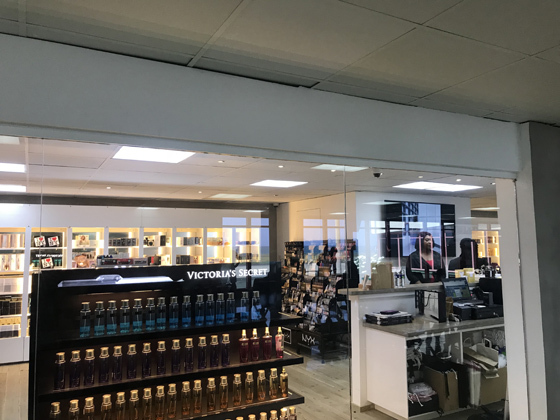 Rouge Duty Free has opened for business in 3,000 sq ft of new retail space on the second level in Grenada’s Maurice Bishop International Airport. Rouge continues to flourish in Grenada, where it is currently the #1 Travel Retailer on the Island, with three stores at the Airport, including 3,000 sq. feet of retail space on the newly opened second level, one in the Spiceland Mall and one at the prestigious Port Louis Marina, says Bordoni. “We are very focused on Grenada, as it is the fastest growing Island in the Caribbean. Several upscale hotels and boutique hotels will be opening by Fall and in 2019, including the Kimpton and SilverSands. 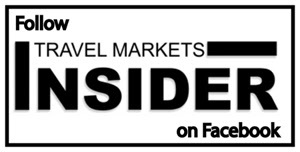 We are also expecting more airlift with American Airlines, Jet Blue and Air Canada among the airlines that will be adding flights as of November 2018,” says Bordoni. Among its newest brands on tap, Rouge will be expanding its offer from Chanel in Port Louis. 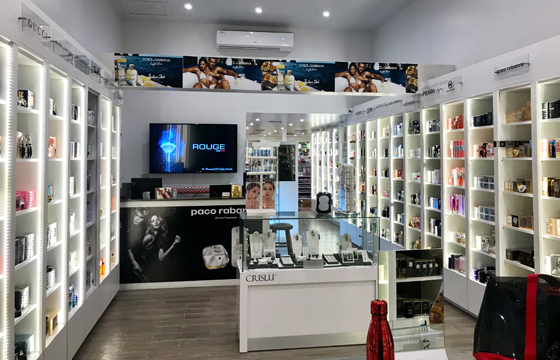 “We are very pleased to announce that Rouge Grenada will be opening a personalized new Chanel counter for fragrance, skincare and cosmetics at our Port Louis Marina location,” says Kattoura. “The official launch will be the first week of December, and will be marked with a special function, including services from a Chanel makeup artist to attend our clients. Rouge will also be introducing Rituals at the airport and Port Louis locations, and will be carrying the fast-growing brand exclusively on the island. Rouge will also be introducing Shiseido skin care and cosmetics, adding it to the lineup of top brands already available, including Lancôme, Estée Lauder , Clinique, Smash Box, Glam Glow, Clarins, NYX and Chanel. The new Rouge Duty Free store in Grenada airport covers nearly the entire length of the 2nd floor concourse. Rouge reports that it has also opened a new kiosk on the level 2 departure lounge next to gate 5 in Grenada’s Maurice Bishop International Airport, which is dedicated to liquor and grab and go confectionery. Rouge will also be opening dedicated corners for Furla and Montblanc before the end of the year, as well. “Grenada continues to offer many exciting opportunities for Rouge, and we will have a lot of news in the coming year, including a new arrival store in Grenada MBIA,” says Kattoura.